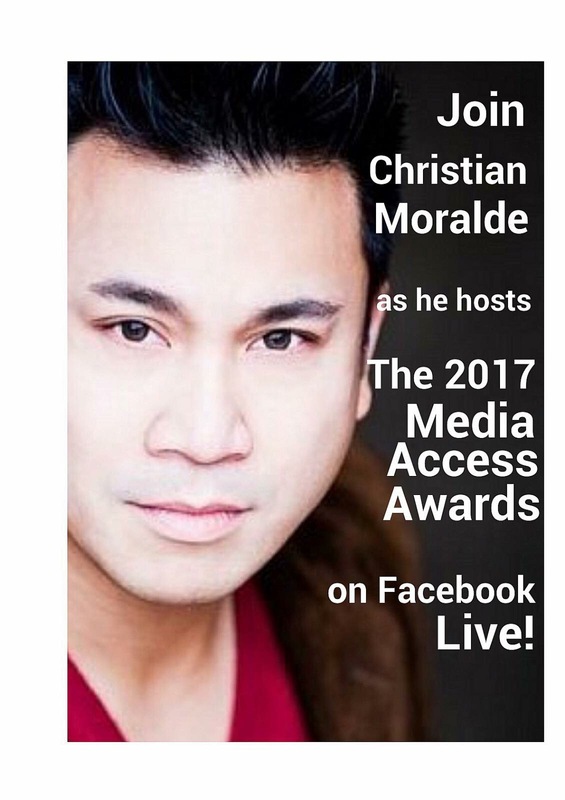 The 2017 Media Access Awards is thrilled to welcome, Christian Moralde, as the official show host for the production’s online live feed. Slated for November 17, 2017 at the Four Seasons Hotel in Beverly Hills, Moralde is looking forward to exclusive interviews with presenters and honorees that include actors Aziz Ansari, Michael Keaton, Jacob Tremblay and iconic producer Norman Lear. As the largest minority group on the planet- and as the only minority group that anyone can join at any point of his or her life-the disability community is a robust, diverse, and integral part of the global fabric. Founded in the late 1970s, The Media Access Awards celebrates this fact by honoring, highlighting, and promoting disability and its depictions in film, television, and new media.